My daughter loves to get her hands on washi tape just as much as I do. She oogles over all the beautiful colors and different patterns. When I suggest we make a craft with it her excitement is through the roof! 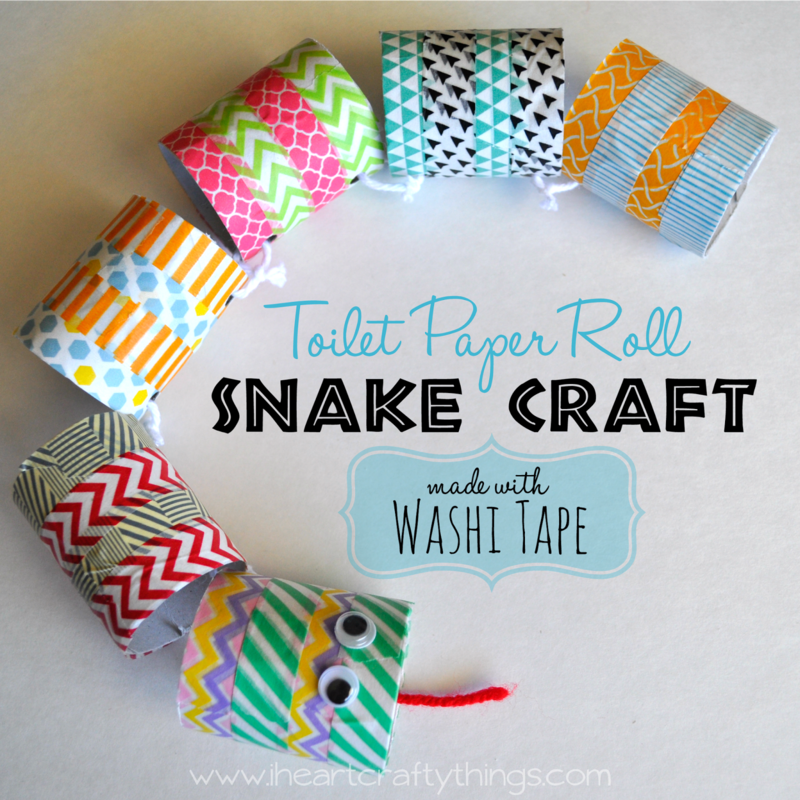 We have been reading some books about snakes lately so I came up with this simple Toilet Paper Roll Snake Craft that uses washi tape. 1. Cut your 3 toilet paper rolls in half and lay the pieces down to make a long snake shape. Gather some washi tape you want to use. 2. 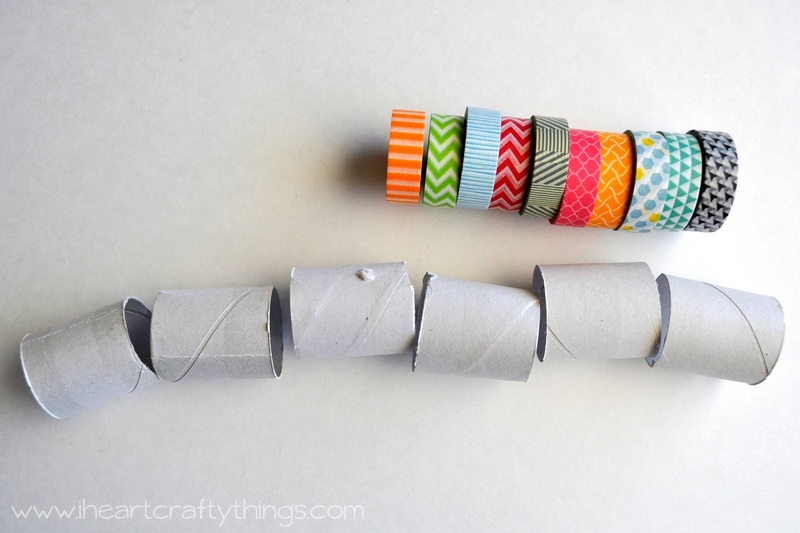 Use the washi tape to decorate your toilet paper rolls in any way you want. I found it easiest to tear off a piece of washi tape and wrap it all the way around the toilet paper roll. I covered my rolls completely but smaller children probably won’t cover them completely. That’s ok! The craft still turns out adorable! 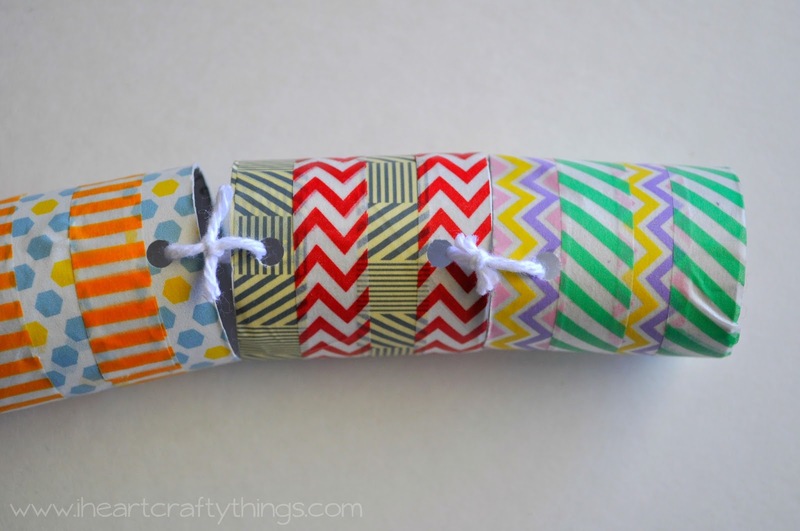 It might be helpful to pre-cut pieces of the washi tape for smaller children and place them on the end of a table hanging off so they can easily grab them. 3. After you are finished decorating your pieces, line your snake up exactly as you want it and use your hole punch to punch holes in the toilet paper role pieces to connect them together. The inside pieces will need a hole on each end, but the two outside pieces will only need one hole punched in them. 4. Now it’s time to connect all the pieces together. Cut a piece of your string or yarn, thread it through one hole from one of the toilet rolls and another hole in another toilet roll and tie a knot. Cut off any excess string. Continue this process connecting all 6 pieces together. I let my daughter thread the string through the holes but I tied the knots since she isn’t able to yet. It makes for great fine motor practice for preschoolers. 5. Finish your snake by turning it over and gluing on googly eyes and a piece of red yarn for a tongue. We used glue dots instead of school glue so we wouldn’t have to wait for drying time. The snake is able to lay straight but also curve and fold up into a ball like snakes like to do. It makes it super fun for pretend play! 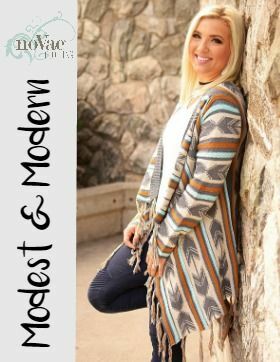 One of my favorite things about this craft is that there was no messy painting involved so this is awesome if you are looking for something to do with easy cleanup. My daughter loves her new little snake friend! 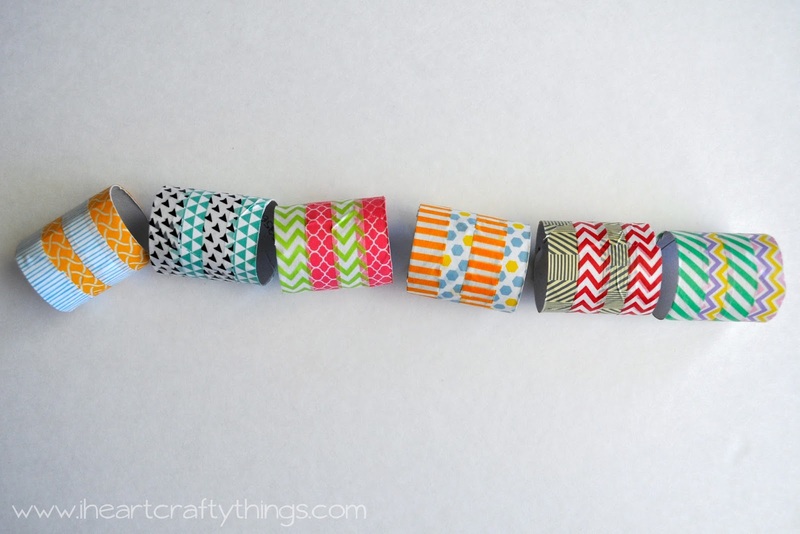 Do you have a child that loves washi tape? 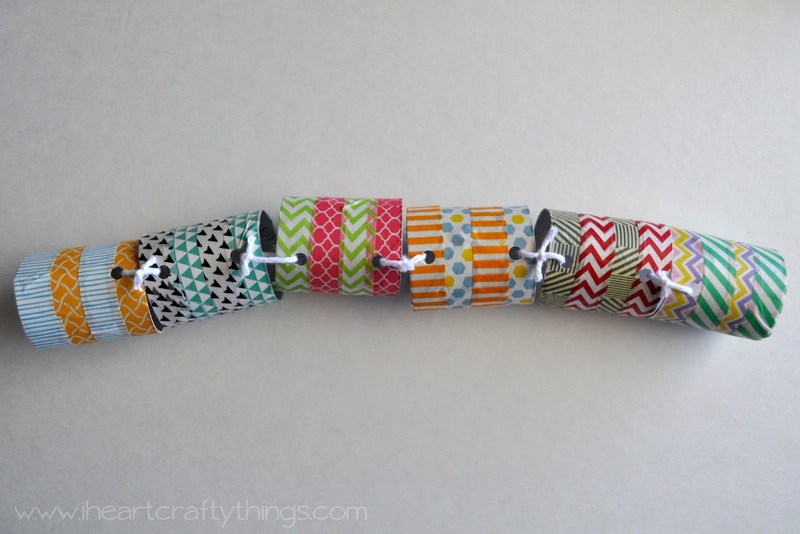 Check out all of our Washi Tape Crafts! You might also like our Beaded Lightning Bugs and Dragonfly Craft or Cupcake Liner Flower Crown.